*Pattern updated 3/14/2018. 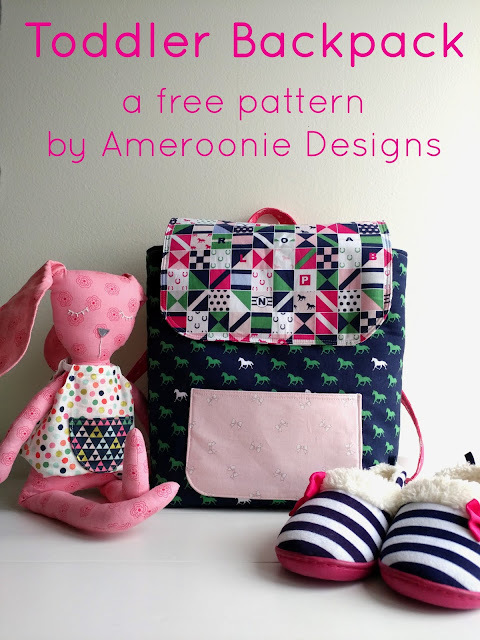 You can go to this blog post to see more pictures of the updated version of the backpack. There are lots of places to go and things to do in the summertime. 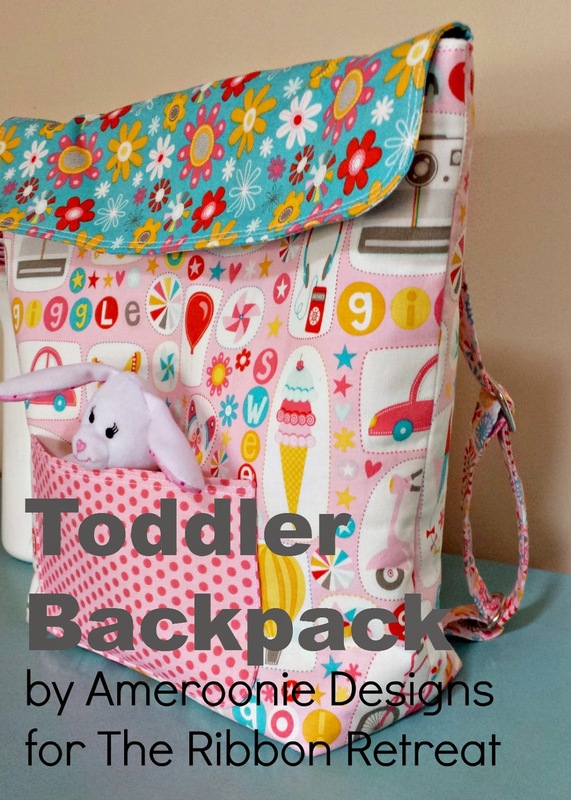 Now, your toddler can be prepared for anything with this darling backpack. Sleepovers at grandma's or just a place to carry their favorite treasures as you explore. And the best part is, now you don't have to carry it for them. The fabric and hardware for this project was provided by The Ribbon Retreat. You will need 1/2 yard of exterior and 1/2 yard interior fabric. 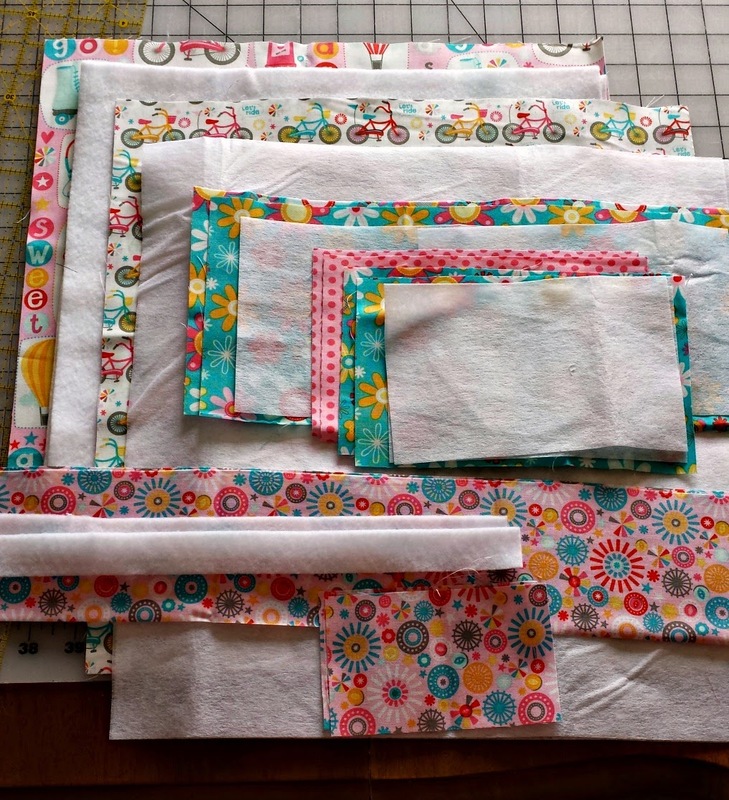 If you want to add in more fabrics, as I did, you will need various scraps or fat quarters. For this project I used Girl Crazy by Dani for Riley Blake. 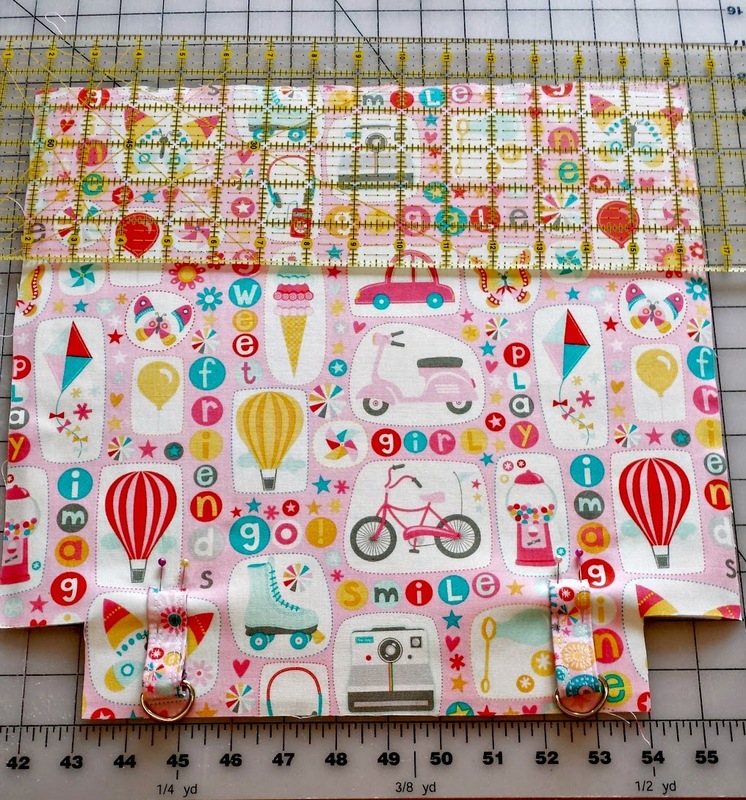 You will also need fusible fleece, medium weight interfacing, one magnetic snap, 2 rings and 2 slides and one lobster clasp. The first step, of course, is always cutting our fabric and interfacing. Now you get to spend some time with your iron. Take the strap pieces. Iron the pieces in half length-wise. Unfold the piece and bring the two outer edges in to the middle crease. Press the sides and then re-fold along the first crease, press. Do this for all 4 strap and strap anchor pieces as well as the handle and lanyard pieces. Take the two strap pieces and unfold. 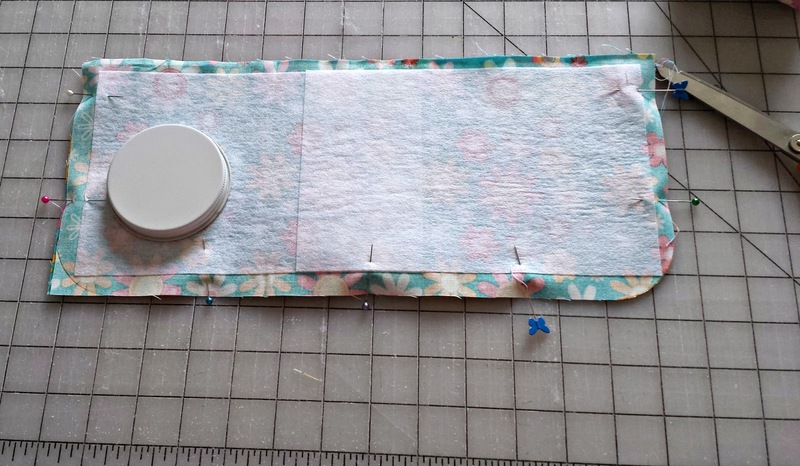 Put the 1" X 19" piece of fusible fleece at one end and line it up with the center crease. 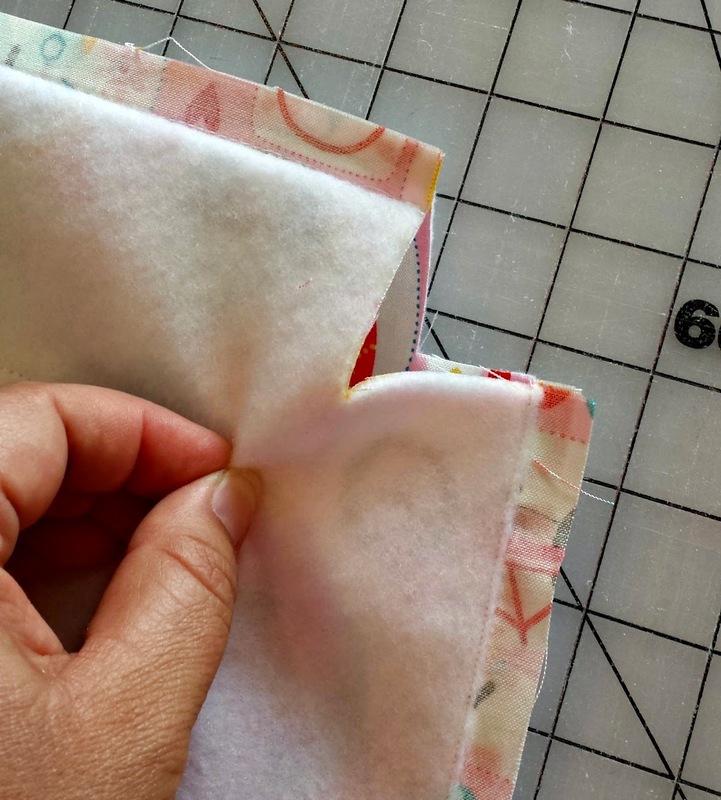 Fold the fabric back up and press to fuse the fleece to the inside of the strap. Repeat with handle piece. Take your one of your flap pieces and one of your pocket pieces and fuse craft fuse to them. Take your two exterior body pieces and lay them out right sides together. On the bottom two corners, mark a square 2" up and 2" over. Cut out the corners. Repeat for the interior body pieces. Take your flap pieces and lay them down right sides together. On the bottom two corners, use a round object (lid, plate, bowl) and trace a curve on the corners, then cut out. *In this picture I used a lid, I would recommend something a bit larger in diameter, at least 3" across. Repeat with the two pieces of the pocket that will be on the outside of the backpack. Now, ON TO THE MACHINE!!! We are going to prepare all the pieces to get our backpack ready for assembly. Take all 4 strap pieces and the handle and stitch along the long sides at 1/8" and 1/4" (the 1/4" line is optional, I just like the look of the double stitch lines, and I think it gives a bit more stability to the straps). Each strap piece should have 4 stitch lines (if you did the 1/4" line). Take two long strap pieces and the adjustable slides. Fold one end of the strap over the center bar of the slide 1 1/2", fold the raw edge up 1/4" so it's hidden in the strap. Sew on both sides of the raw edge to secure it in the strap. Stitch both long sides of the lanyard piece at 1/8". Slide lobster claw on one end of lanyard. Fold over raw edge 1/4" and then fold end another 1/2". Sew on both sides of raw edge to capture ends in stitching. Set lanyard aside. Take your 2 pocket pieces. Line up wrong sides together and sew around using 1/4" seam allowance, leaving an opening for turning on the bottom of the pocket. Clip the corners and notch the curves on the bottom. Turn right side out and press. Top stitch along the top edge of pocket. Again, I did double stitch lines, one at 1/8" and one at 1/4". 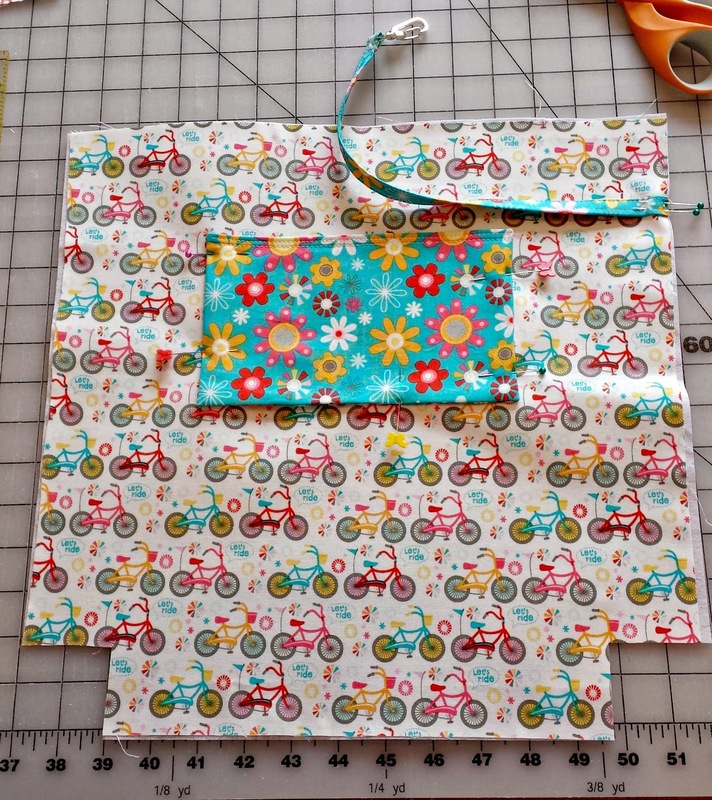 Take front bag piece and center the pocket 3" up from the bottom. Sew around two short sides and bottom, make sure to back stitch at beginning and end. Now, make a mark 5 1/2" down from the top and centered. Use the washer that comes with the magnetic snap to mark slits for prongs snap piece. Cut slits and insert female end of magnetic snap. And finally, we have the flap piece. Line up the two rounded sides, right sides together. 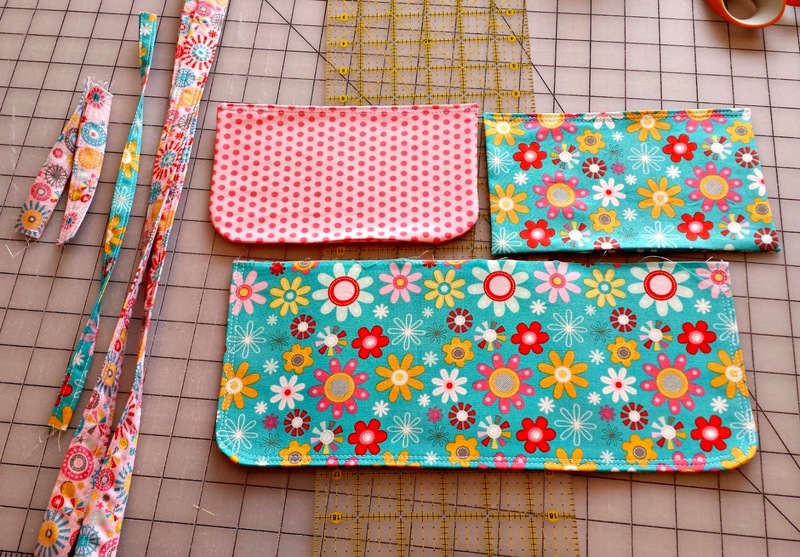 Sew along the two short sides and the rounded bottom, leaving the top straight edge open (1/2" seam allowance). Clip the curves, turn right side out and press. Top stitch around the 3 sewn edges. Double lines are optional. Mark a point on the inside of the flap that is 1" in from the rounded edge and centered along the length. Use the washer that comes with the magnetic snap to mark the holes for the prongs. 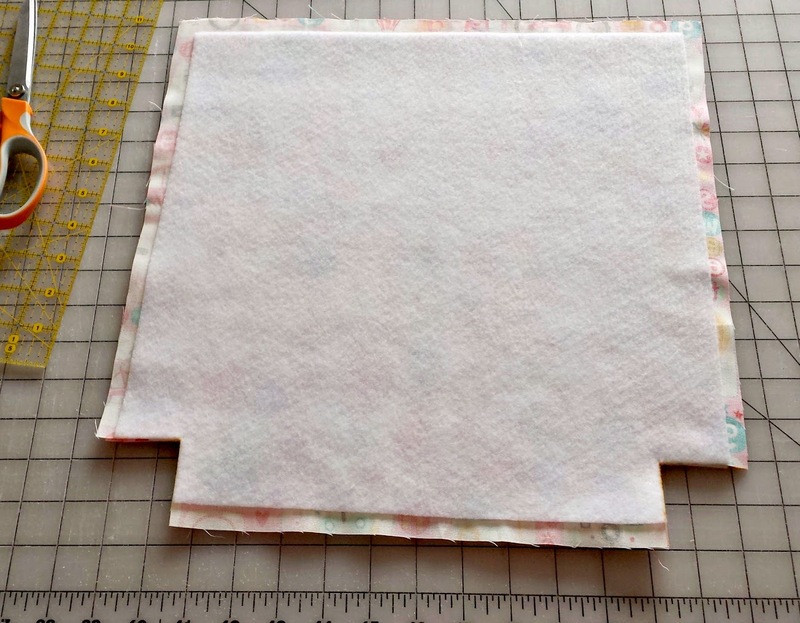 Cut a small square of craft fuse interfacing and insert it into the flap so it is centered where the marks are, fuse to the wrong side of the inside flap piece. Cut slits for the prongs and insert the male end of the magnetic snap. Now we're ready to put our bag together. Take one of the interior bag pieces and mark on the side 3" down, pin the raw end of the lanyard at this mark. We're going to put the backpack together now. For the remaining steps, the seam allowance will be 1/2". Take the two exterior body pieces and line them up right sides together. Sew along the bottom seam. Press the bottom seam to one side. 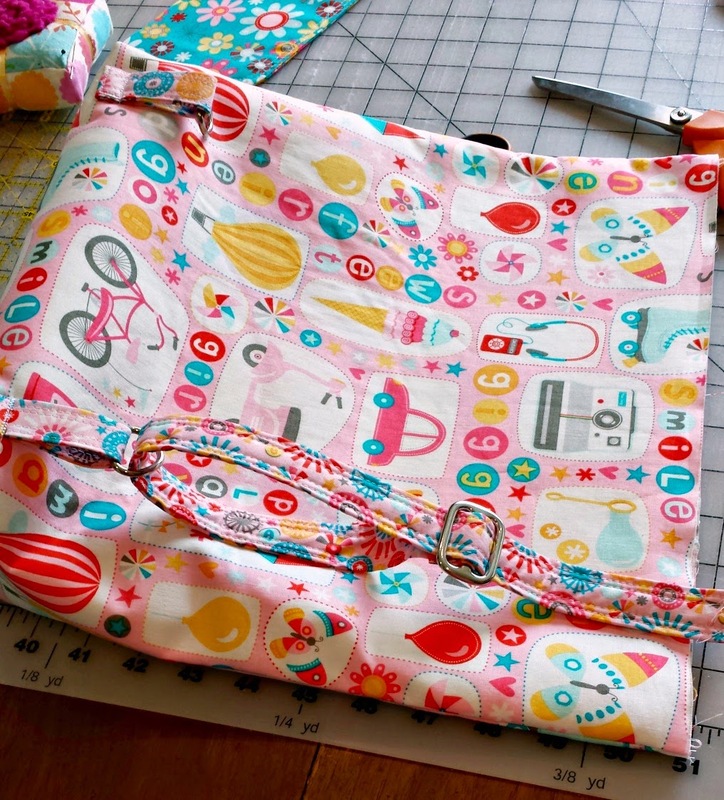 Line up and sew the sides of the bag. Press the side seams in the opposite direction of the bottom seam. Now it's time to create the bottom of the bag. Pull the corners of the notches in the bottom of the bag away from each other. This will bring the bottom seam and the side seam together. Line them up, the seams should "nest" together since they are pressed opposite ways. Pin. Sew along this straight edge, back stitch when you start and stop. Repeat for the other side. The inside of the bag comes together in exactly the same way with one small difference. 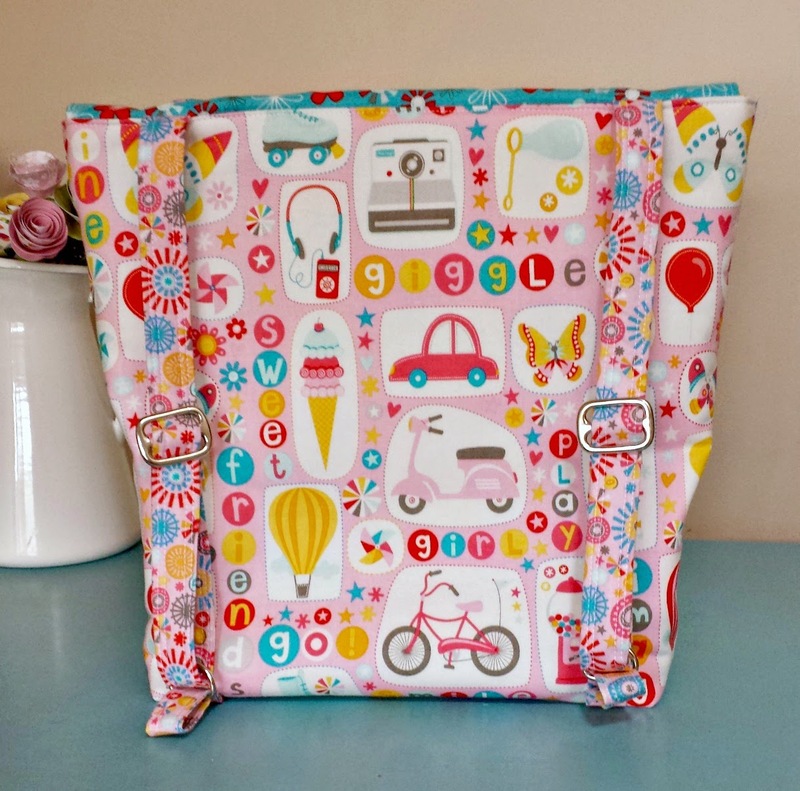 The first step of sewing the bottom seam of the bag is the only change. 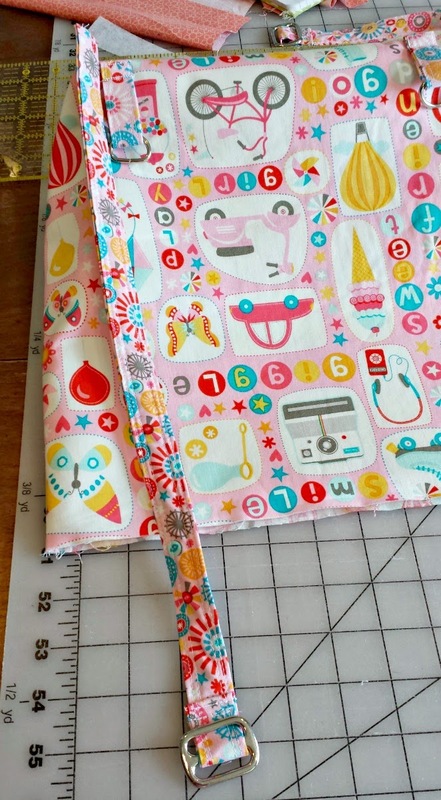 Instead of sewing all the way across the seam, you will leave an opening in the seam so you can turn the bag right side out when it's all finished. So, on the bottom seam, sew in 2" or so, then back stitch. Then repeat it for the other side of the bottom seam. Then follow the remaining steps as outlined in the exterior bag assembly. It's time to add the rest of the strap. First, you're going to take the exterior of the backpack and turn it right side out. Line up the long strap piece as shown, you want the piece of the strap holding the ring to face up. Bring the remaining raw edge of the strap up through the bottom of the anchored d-ring. Pull the strap through, then slide the raw edge of the strap under the bottom of the slide ring, over the center and under the top to bring it out the other side. Now, we're going to sew down the edge of the strap. Line it up 4" in from the outside seam of the backpack. Baste stitch in place. Repeat for the second strap. Line up raw edges of the handle on the inside of each strap, making sure it's not twisted. Baste stitch in place. The last piece to add is the flap. Center the flap on the exterior back side of the backpack, with the snap facing up. Baste into place. We're ready for the final step. Take the backpack exterior (which is still right side out) and slide it into the backpack interior (which is wrong side out). Make sure the side seams are going in opposite directions. 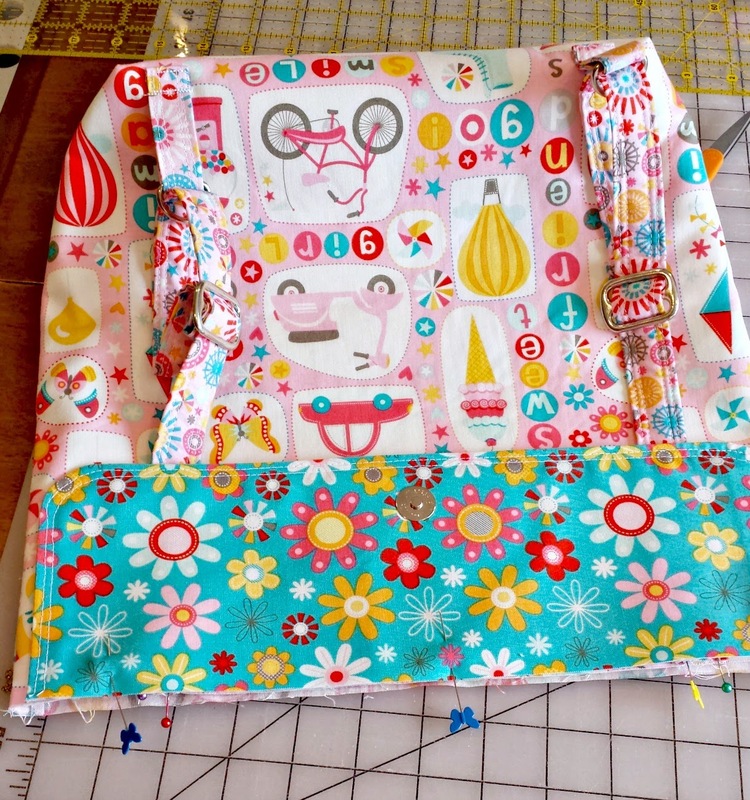 Line up the side seams and pin around the entire top of the bag. 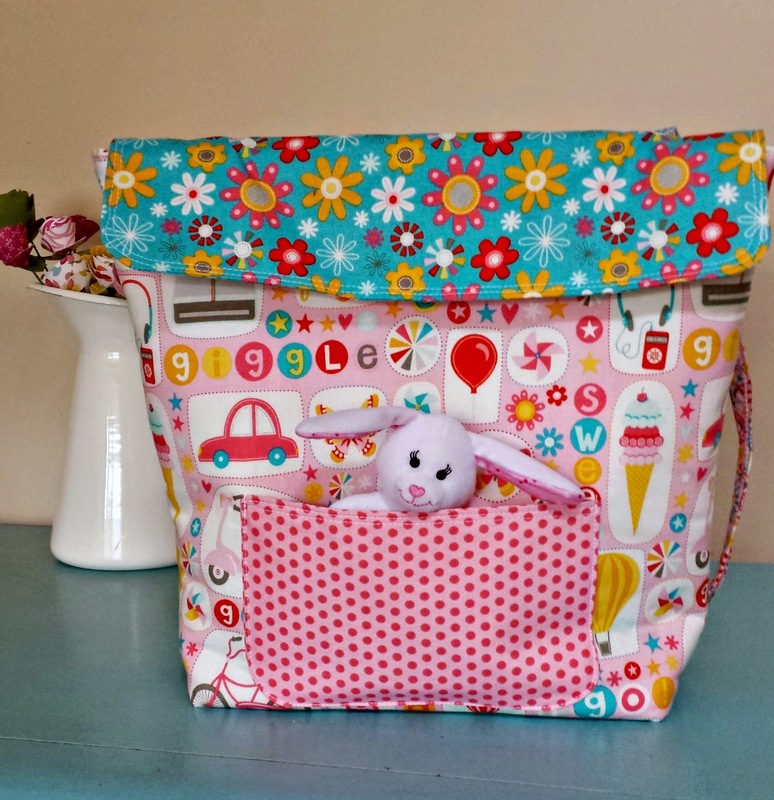 Sew around the bag, making sure the back stitch both sides of the straps, handle and flap when you come to them to reinforce them. Pull the bag right side out through the opening in the bottom of the lining. Stitch the opening closed, and push the lining inside the exterior of the bag. Press the top seam and top stitch around, going under the straps. I like to do one final press when all the stitching is done. And now we have a darling backpack that provides independence and play for our youngsters.